Jeni Britton Bauer opened Jeni's Splendid Ice Creams in 2002 with the idea that ice creams could be better and more interesting. Today, Jeni continues to craft one-of-a-kind flavors — made with grass-grazed Ohio milk and Direct Trade ingredients — in partnership with some of the world’s best makers, producers, and growers. Jeni’s first cookbook, Jeni’s Splendid Ice Creams at Home, is a New York Times bestseller and winner of a James Beard Award. 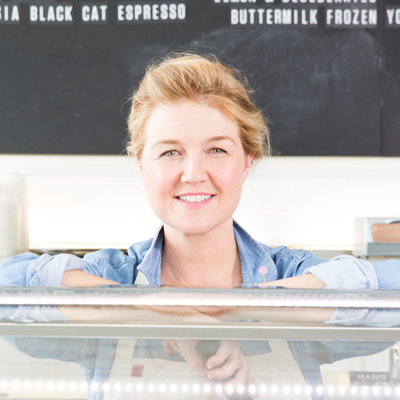 Jeni’s latest book, Jeni’s Splendid Ice Cream Desserts, was published in 2014. In 2015, she was dubbed one of Fast Company’s Most Creative People in Business. Most recently, she was awarded an honorary doctorate in business administration from Ohio State University.